One of the biggest superhero events of the century is about to open. We’ve been on the precipice of a Superman versus Batman movie for so long, that as we at Geek Melee have noted before, it was used as a movie that was being shown during the downfall of man in I Am Legend – almost a decade ago! 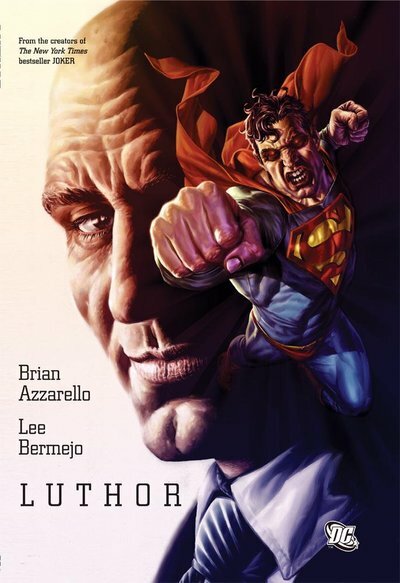 Rumored to be a strong influence on Jesse Eisenberg’s take on Superman’s arch-enemy, Brian Azzarello and Lee Bermejo’s Luthor (originally published as Lex Luthor: Man of Steel before being collected into a trade) gives us a story from the bad guy’s point of view. And surprise, in his mind, it’s Superman who’s the bad guy. It’s really great to be able to see this 75-year-long conflict from the villain’s point of view. And it’s it’s also a beautiful expression of one of Luthor’s central modern conceits: he believes Superman is stunting the human race, doing for people what they need to learn to do for themselves. Eisenberg’s made repeated public statements that he’s out to make a more psychologically believable Luthor than we’ve previously seen in cinema. If so, it bolsters the strong possibility that he and Snyder are drawing from this book, widely said to be one of the more penetrating looks at a driven and complicated villain. In 2013, Kevin Smith revealed in a podcast that the Batsuit in Dawn of Justice ignited instant fanboy love from him. 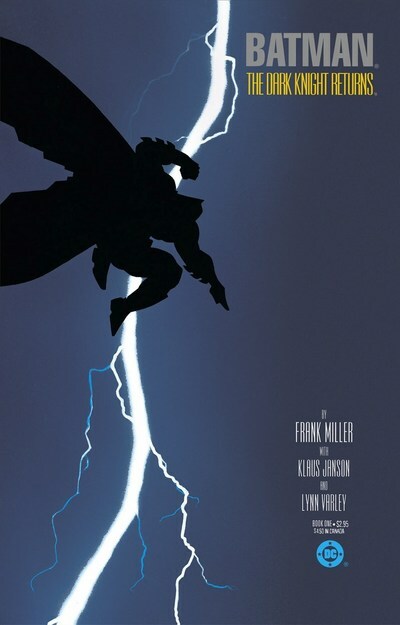 Though he omitted any identifying details, speculation instantly turned to The Dark Knight Returns, arguably the most seminal Batman work in the character’s entire history. The book is famous for, among other things, its knock-down brawl between a robot suit-enhanced Dark Knight and the Man of Steel. These speculations have turned out to be 100% gloriously correct. The scene in question is perfect source material for the cinema battle. Pulling from the book will please fans as well as give Snyder tried-and-true material. But TDKR is worth reading for many more reasons than just getting an early glimpse at what BvS will have on offer. 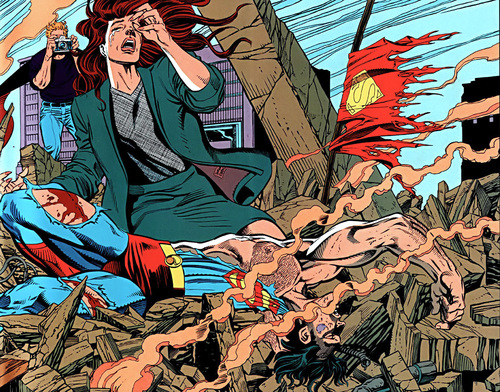 When executives at DC Comics go to sleep, they dream of the 1992 Death of Superman event. 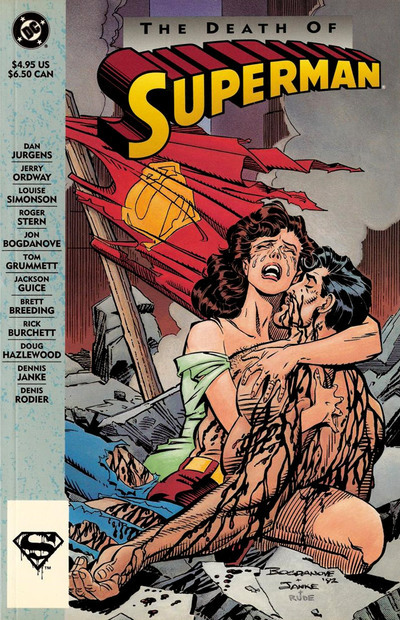 With swarms of casual fans who believed this was really the end for the Man of Steel, and near the height of the comic book speculation craze, the storyline capitulated the Superman books’ creatives into temporary stardom and gave DC a license to print money. Now, twenty years after the titannic brawl where we discovered Superman bleeds green, the villain of that arc is finally making his way to the movies. Doomsday’s whole thing has always been basically Big Punchy Guy, so I’m not too aghast at his reported origin shift. In a way, Doomsday being the distilled rage of a [SPOILERTH] is a nice addition to the, uh, “character.” In his first and most famous appearance, Doomsday doesn’t even have an origin story – he just punches his way out of the ground and breaks a deer’s neck. Still, comic fans would be cheating themselves going into this movie without first checking out this epic slugfest. 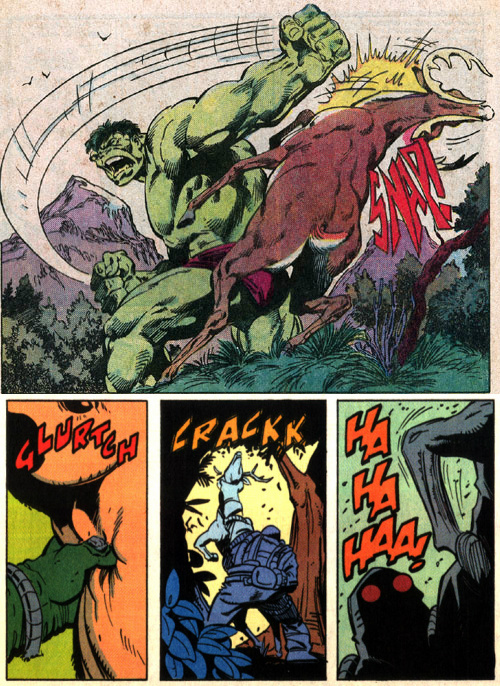 Actually, it was sort of a rough time for comic book deer. In the film, Wonder Woman’s story will not be derived from her classic “made of clay and zapped to life” origin (much to some fans’ dismay). Instead, Snyder & co will be using her most current origin in the comics, in which she is told she is made of clay but is in fact the love-child of her mother Hippolyte and that sly womanizer of the Pantheon, Zeus. You may spot some issues in there for a feminist-propaganda superhero right away, but there are some advantages. 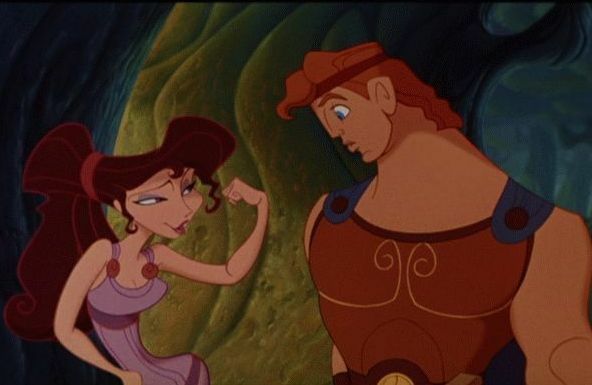 After all, Diana is now a Hercules-like demigod. So that’s cool. 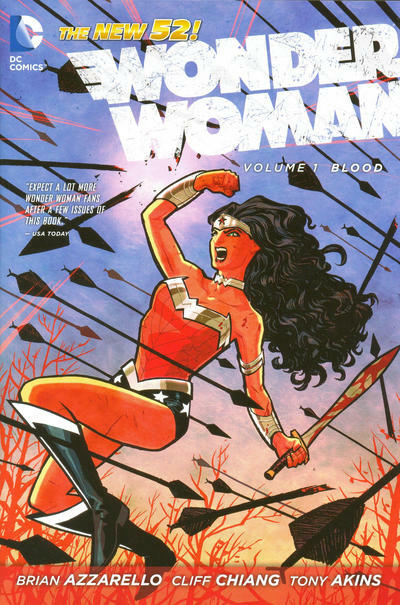 There’s so little known about Gal Gadot’s Wonder Woman at this point, it’s hard to know how else Brian Azzarello and Cliff Chiang’s take will shape her version of the Amazon. However, if it’s anything more like her New 52 relaunch, we can expect a stronger focus on her warrior nature then, say, Lynda Carter’s ambassador spreading a message of love and understanding from a feminist utopia. It’s in the air that Birthright will continue to be an influence on Snyder’s next Superman film, this time in the direction of Lex Luthor. 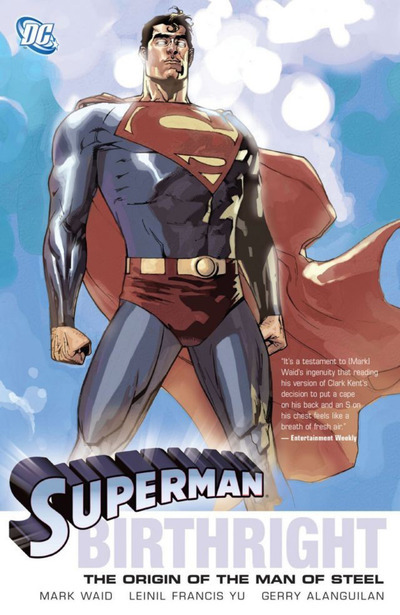 The book received acclaim for its empathetic view of Lex, showing him living for a time in Smallville and struggling to fit in. And although the book isn’t the first to present Lex as a malevolent businessman (that honor goes to John Byrne’s landmark 1986 Man of Steel miniseries), it deserves credit for combining that ruthless businessman iteration with the classic Silver Age scientist. 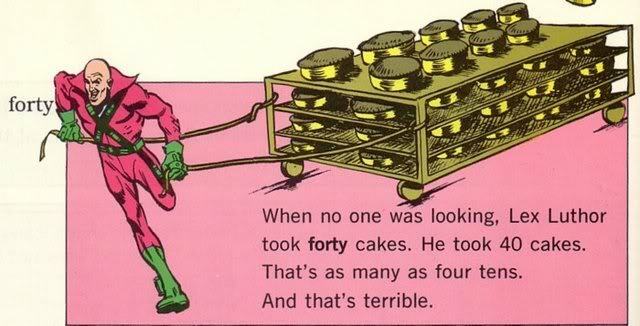 And for leaving out Luthor’s criminally intense love of cakes. 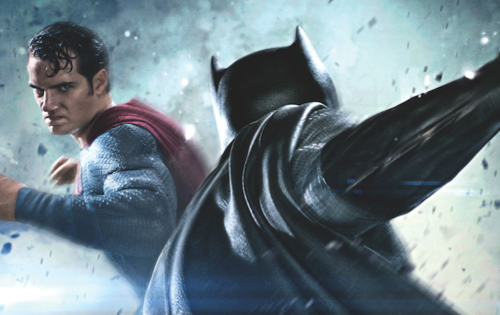 Although Batman and Superman already know each other by the beginning of this short epic, there are so many other story similarities between Trinity and what we know about BvS that it seems likely that screenwriters Chris Terrio and David S. Goyer had it in mind. After all, it’s the pair’s first meeting with Wonder Woman; there is a big Superman-strong monster lumbering about; and that monster is set upon them by a megomaniacal “brainy” type villain. 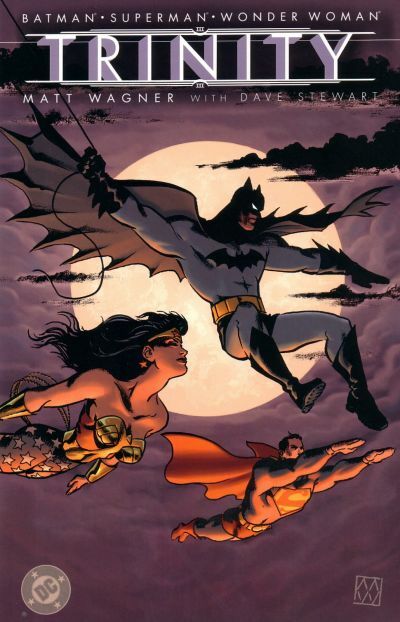 Whether connected or not, this book is probably the best take on the formation of the Superman-Batman-Wonder Woman trinity out there. If a selling point for you with BvS is the Big Three origin story, this book is unquestionably for you. 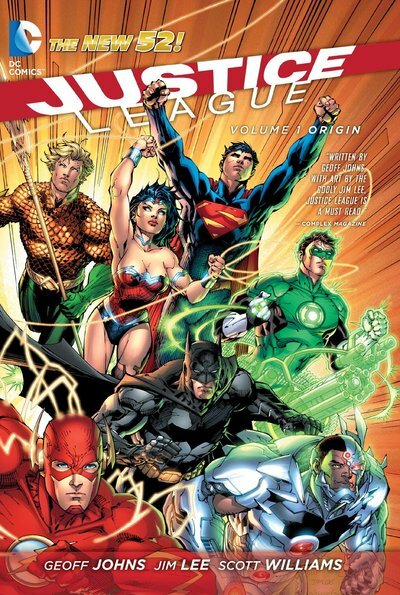 Volume 1 of the modern Justice League probably represents everything people loved and loathed about the New 52 relaunch. It’s flashy, its pace is uncomfortably fast for its large cast, and that same cast receives only somewhat rough characterizations. For all that, though, its goal is to bring the blockbuster movie feel to a six-issue comic book arc and that’s a goal it achieves. Jim Lee, DC’s artist laureate, is on fire here. From Batman hurling himself through a spate of helicopter gunfire to the simultaneous attack of nearly every Leaguer against an especially ominous Darkseid, Lee just spools out an incredible train of images. Geoff Johns is famous for his runs on both Green Lantern and The Flash, but his dialogue here is definitely in service to the rapidly-moving plot. Maybe I’m getting too granular here, so look: Do you want a big, spectacular, apokoliptic battle that brings together the greatest heroes of Earth? Do you want it with some great human moments? Go read this book.